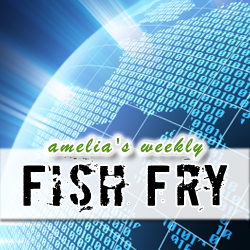 In this week’s Fish Fry, I interview Lauro Rizzatti (Vice President of Marketing, GM of EVE-USA) about emulation, verification, and why Lauro thought he was planting pepperoni in his garden in Italy. Also this week, I check out the new phase change memory (PCM) unveiled by IBM and investigate how this new memory technology may change the electronics industry as we know it. I have a fun new nerdy giveaway to give out this week, but you’ll have to listen to find out exactly what it is!